Fancy brightening up your January by scooping up heaps of cash and bonus prizes? If so, you definitely won’t want to miss out on BGO’s Big Competition. Taking place on Friday, 27th of January, this reward-filled night is composed of three exciting games. Keep reading to find out how you can unleash your competitive side and come out of these games as a winner. Three games will be taking place on the Big Competition night, all in the Fairy Delight bingo room. 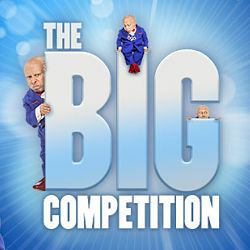 The exact amount of cash on offer depends on the size of the prize pots on the night, but since this is a BGO Big Competition, you can guarantee they’ll be impressively high. Click to Play Now at bgo Bingo Deposit £10, Play with £30 + 100 Points! 18+. New customers only. Use code BINGO. £20 in Bingo Bonus for first deposit of £10. Available for purchasing Bingo tickets only. 3-day expiry on the Bingo Bonus. 4x wagering on Bonus. Bonus amount can’t be withdrawn. £10 min deposit + 2.5% fee (min 50p). Not available using Neteller or Skrill. Cash balance withdrawable anytime + £2.50 fee. Full T&C apply. T&Cs apply. You don’t have to go through all three of these challenges at once. As long as they’re completed by January 26th, you’ll qualify for the promotion. 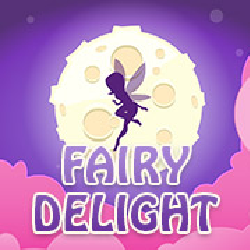 When you’ve received an email letting you know that you’ve opted into the Big Competition, all that’s left to do is make sure you’re in the Fairy Delight room for the three games taking place at 7.30pm, 8.30pm and 9.30pm. The Big Competition is open to all registered members of BGO bingo- new and existing- so long as they manage to complete the three tasks listed above by midnight on January 26th. Please note that only real money wagers can be used to qualify for the promotion. Bonus funds or free play tokens will not count towards the Big Competition challenge requirements.